Flower girls mini bridal dresses. 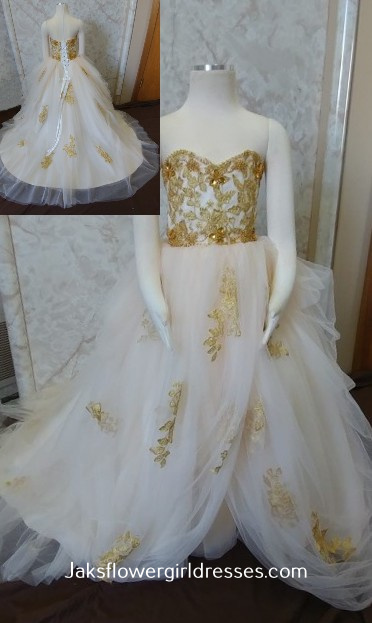 Bring your wedding inspirations to Jaks, and explore flower girl dress designs in your bridal gown style. 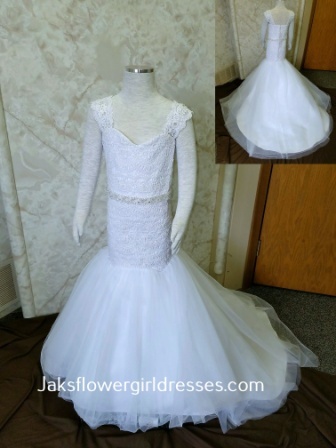 Jaks Bridal flower girl dresses are designed exclusively to match your wedding dress. Little flower girl dresses are styled to match your wedding gown, and adapted to the needs of each individual flower girl for the perfect fitting dress in your child's size wedding dress. 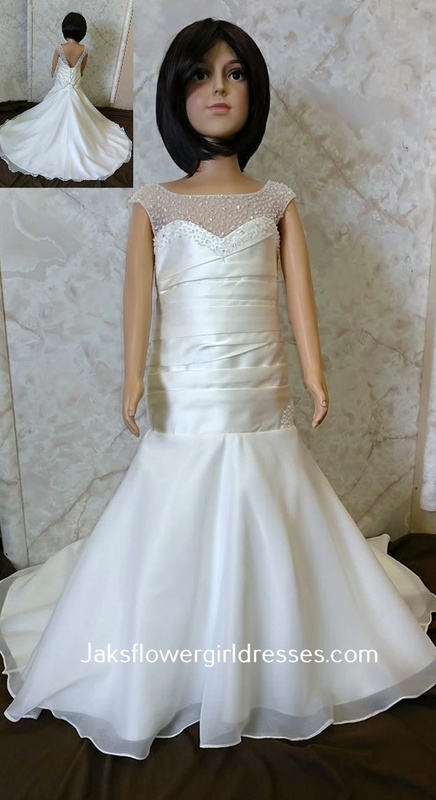 Let us Exclusively Design your bridal dress style into a fabulous miniature flower girl dress, all the way down to the beautiful lace surrounded train. 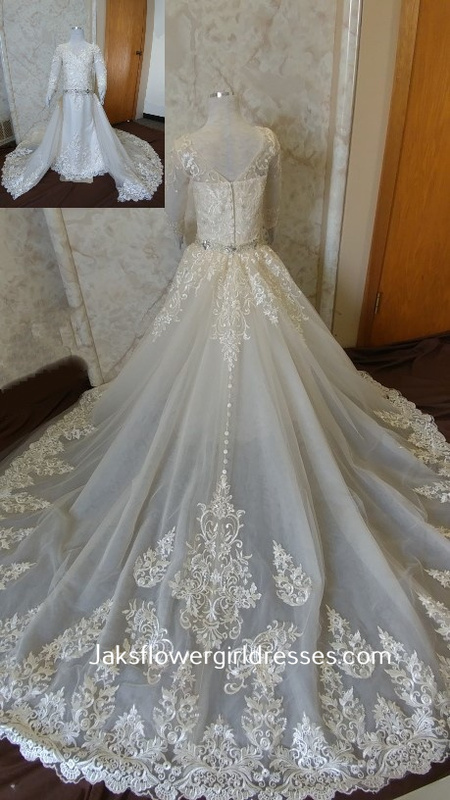 Beware of wholesale companies, who are using our dress pictures, they are a scam involving an online dress retailer using many different names.